It has become common for political pundits to offer up their own post-mortem on this recent election. They are, afterall, still being paid to speak and write no matter how right or wrong they’ve been all along. They have their followers to lead, astray or otherwise. I’m no pundit when it comes to politics, mind you. An undergrad Minor in Poli Sci from the mid 60’s makes me anything but an expert. So read what I have to say here with all due skepticism. Let’s just call it what it is: a non-pundit analysis. Or an amateur post-mortem informed mostly by the things I do know something about from the areas of Christianity and Mental Health. By now, Hillary’s lost election has garnered lots of analysis on how the Obama Democrats managed to vote Trump and his fellow Republicans into power. I’ve yet to see anything in print about how so many Romney and McCain Republicans managed to vote for Clinton to the point where, per the highly non-partisan Cook Political Report on this date of November 21st, Clinton led Trump 63,600,000 to 61,900,000 in rounded off numbers with 7 million ballots uncounted in mostly California and New York, likely padding her numbers still further without affecting any change in the Electoral College. As of today, her lead in the popular vote over Trump is 48% to 46.7%. That said, the coroner has essentially ruled and I’ll still offer up my own eulogy of sorts. I’ve officiated enough funerals over the years to have qualified at least on that count. Hillary, I believe, lost because she was too anti-establishment. That’s right. You read it correctly the first time. She was too anti-establishment. Her campaign slogan of “Stronger Together” was too anti-establishment and failed to resonate. You see, we have joined the political pundits in confusing the symptoms of our establishment with its disease. Trump may, or may not, have gone after the chief symptoms as located in Washington D.C. and on New York’s Wall St. These symptom locations, Wall St. and Pennsylvania Ave. are easy targets. Hillary did not attack them but instead worked to attack the actual disease causing those symptoms. Now that you are properly confused, but hopefully curious as well, let me explain my point. The sick establishment that produces our national symptoms and symbols of contempt………. is our larger “culture of narcissism.” Here’s what I mean. Our nation, which seems to most of us headed in the wrong direction, is based on a culture of individualism, privileging the “I, me, my, mine, and ours first” ………………and the rest of the world “good luck.” The best name I can think to give this is our “culture of narcissism.” And so we have now elected one of us, and his party, to be our Chief Executive Narcissist. There to protect me, mine and ours against you, your, and yours. Against that establishment comes not a man but a woman, who I’m supposed to trust to protect us from them? Are you kidding me? And she runs this anti-establishment, counter-cultural campaign using words like “Stronger Together” that would seem to mean including our enemies as if they were actually on “my” side against those “others” in “our” country. Bad move on Hillary’s part. Way too altruistic. That is, anti-narcissistic. Way too counter-cultural, too anti-establishment. Actually, I’ve been inclined to see Hillary not as Jesus but rather Mary of Magdala. If you know your Bible’s Christian New Testament, you should remember her as being the woman that conservatives, then called Pharisees, loved to hate. If Jesus had been God, he’d have known what kind of woman she was. So much for HIS credibility as the Christ. Yep. That’s why Jesus lost, too. Fact is he lost his life that way. You see, he was the ultimate public servant out to bring a Kingdom of “peace not as the world gives” (John 14:27) that included even the enemies of his own people. Included even Mary of Magdala. 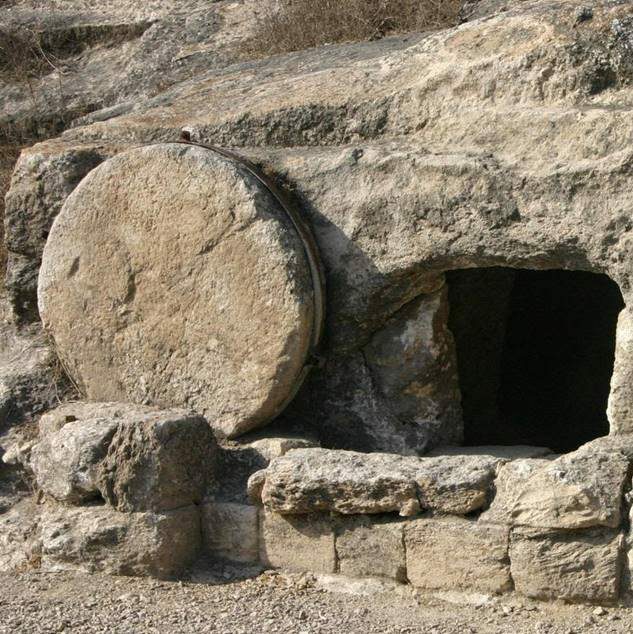 A woman he often associated with and who later became the first to recognize and broadcast his resurrection. So here’s my viewpoint concerning Hillary Clinton, and Christianity, and mental health. The truth is far more paradoxical than most would like to believe. The rational overcomes the emotional. Reality stands up and trauma faints away. The last shall be first and the first last. The winner becomes the loser and vice versa. Know what I’m saying? The establishment won this election. The culture of narcissism that causes the symptoms of our diseased establishment in DC and on WS has won. Donald Trump is the winner and the new face of our disease. And the one whose career has been dedicated to helping the less fortunate “others” has lost. Wasn’t a crucifixion but felt that way to her followers. And while there may not be a resurrection this side of heaven, I wouldn’t bet too highly against it. Because even cultures come and go. Altruists most often outlive and outlast the narcissists among us. Which is like saying, the lions that once ate Christians are now infinitely outnumbered by Christians and even rescued from their own extinction by these very people called Christian. It’s a paradox indeed. Have you ever had the experience of being blamed by someone else for something you didn’t do? Blamed for saying something you never said? Maybe accused of something when you were actually innocent? How about punished? Ever been punished for something you never did? Now let’s go up the ladder one more step: have you ever been blamed or accused or punished by a group of people who seemed to all agree you were wrong………even when you were not wrong? When the blame game is played in a group or collection or community, we call it “scapegoating.” Can be odd man or woman or boy or girl out. “They” make “you” the outcast. As if you are even “blamed” or “scapegoated” for being different. By age, gender, race, religion, class, or whatever. Then there is the next step higher when your whole group is blamed by another, often larger group. Ever found yourselves losers as a group based on your age group, or gender group, or racial, religious, sexual orientation, occupation, nationality, or such? Chances are at least some if not all of this has entered your past life experience. So what was that like for you when it happened? What did it feel like inside? Did it anger you, hurt you, scare you in any way? All the above? You don’t have to answer out loud. I think I may know your answer already. And that’s because I’ve been there, too, in my own life. Lots of times. Couldn’t begin to count. From early childhood on. I know first hand what it’s like to be blamed, accused, and even punished for something I didn’t say or do. I know what it’s like to lose at the blame game. Because these times of loss stir in my mind feelings of anger, hurt, and fear of being hurt again. Those emotions are not easily forgotten or written off. What I have found in my own experience is that every blame game played against me began with a misunderstanding. Someone assumed something about me that turned out to be wrong, but he/she/they went with it anyway. As if it were true. And because others have misunderstood me, I have been blamed. Even for things I really did not do, or say, or in any way intend. I have fallen victim many times over the years to misunderstandings from which I received the losing end of the blame game. I tell you who else has been misunderstood, then blamed, accused, punished. Yet innocent the whole time. Jesus. The Christ. God incarnate, embodied, in human form. The Nazarene. A couple centuries back in human history. God. Became. A. Victim. Just. Like. You and me and everyone else. The blame game caught up with God when he walked the earth in human form and made him the ultimate, big time loser. He came to earth to reveal what his Kingdom of Heaven would look like if it were to come about here on earth. If we had the Kingdom of God here on earth and Jesus embodied that role of King, we would still have our own political system and still render unto Caesar, but we’d offer universal healthcare for all, free education, food for all, the oppressed would go free, the outcasts would be included, the poor would experience good news. And in this kind of Kingdom, we’d all be invited to live and serve as followers of Jesus the Son who would run God’s Kingdom on earth just as the Father runs God’s Kingdom in heaven. If so, good. Because most of his own people all around him and his government with them did not understand. They thought he meant that he would take over Rome and become the new King over Caesar, and, almost as bad for his fellow Jews, he would take over Jerusalem and become King over the Chief Priests already in the Temple. May even drive them out of the Temple. And out of this misunderstanding came the blame game in full operation. Led to accusing him of insurrection against Rome, which meant the death penalty. By means of crucifixion. “They” blamed “him” as the ultimate outsider or outcast. They played the blame game out to its ultimate end, which is always group “scapegoating,” and so……… God. Lost. That. Game. And from there the group that went about following the way of the Christ, and the Kingdom of God on earth as it is in heaven were…………you guessed it, themselves blamed and scapegoated. Misunderstood. Accused. Blamed. Punished. Many also killed. Here in the United States we’ve just played out a huge one. The election campaign that ended with the winners taking all. Those who did the best job of misunderstanding, accusing, blaming, and promising to punish were declared our winners. The blame game is YUGE here. Winners win and losers lose. And we go on to the next round. As with most games, the blame game can become addictive enough that we want to just play one more. And then one more. And just another. And another. Well, you get the idea. Any thought that our US elections will be different next time after this last grand game was finally ended so triumphantly is, how can I say this?, a highly irrational thought. Games don’t work that way. The winners want to play again. Sometimes the losers do, too. And so we line em up and play it again. And again. And again. So even as I write this the players in our US political blame game are already thinking ahead to the next campaign. The next strategy for winning……the blame game. The next “Gotcha! !” along our ever lengthening campaign trail. We are, I believe, culturally addicted to playing the blame game. And not just the US culture, although we can play it with the best of them; just maybe even better than ancient Rome at the time of Jesus. But it’s a universal human game. Perhaps every culture plays it, and perhaps in every culture we learn to play it even at home. In families. In marriages. As siblings. As human individuals. And we endure all the anger, hurt, and fear that comes alongside it. And now the good news. Are you ready for some? Finally? The Christ refuses to play the blame game. Jesus Christ counters human culture in this way: no more blame, no more shame, no more scapegoats, no more victims, no more punishment, no more death, no more losers. God, the One who always understands us and never accuses and never blames and never punishes us, is so opposed to this sinful game we humans play that he has taken the blame, the shame, the scapegoating, the victimhood, the punishment, the death, the loss for us. Game’s over. This, my friends, is what the Christ of Christianity is really all about. It’s what the gospel or good news of God’s Kingdom of Heaven come to earth is all about. It’s the opposite of sin. It runs counter to our sinful culture. And our sinful election campaigns in places like 2016 USA. No more blame game! Go and sin no more! So here’s an idea for the Christian Church in 2016 USA. What if………we ran a little experiment and called it the anti-blame game, forming teams that gathered for mutual confession as to when we were last tempted to sin in this way, tempted to pay the blame game? Maybe at home. Work. School. Neighborhood. Facebook. Wherever. When did others play the blame game against us? Can we forgive them instead of retaliating? Can we experience God in that way? The Christ in that way? And what do we need do in order to end that blame game, like God through Christ ended it at the empty tomb we call resurrection? When we get back together as a team, can we celebrate each other’s resurrection in that same way? Can we as a team win this anti-blame game together? With the Christ on our side? Please, if you are still reading along, let me close with one final thought. The world today, and especially those who’ve just lost in the 2016 USA election blame game to beat all blame games….it was so YUGE and so successful; yes, this world…….is angry, hurt, scared and so very much in need of the anti-blame game. Only we who can offer the world this new game will be able to offer the real Christ of counter-cultural Christianity.